Item # 319788 Stash Points: 6,995 (?) This is the number of points you get in The Zumiez Stash for purchasing this item. Stash points are redeemable for exclusive rewards only available to Zumiez Stash members. To redeem your points check out the rewards catalog on thestash.zumiez.com. Start off your skate career on the right foot with the Plan B Easysliders 7.75" Skateboard Complete. Plan B brand trucks and a mild concave shape offer a stable feel from hill bombs to truck stalls, perfect for learning all-kinds of riding styles. 52mm Plan B brand wheels offer quick acceleration and their 95a durometer ratings maintains a smooth ride with tons of grip. 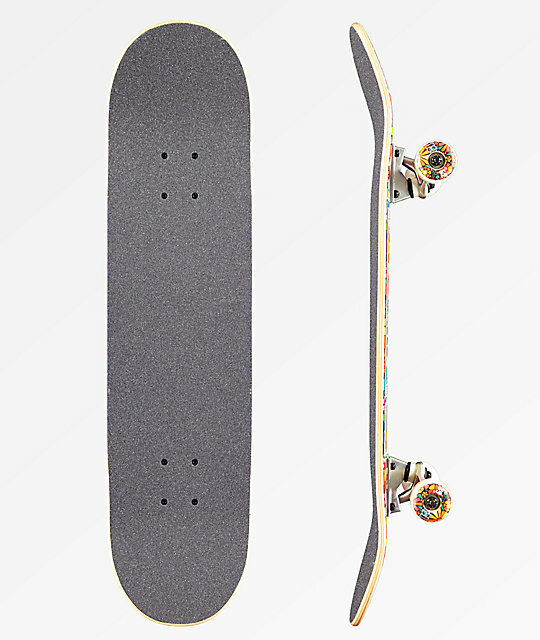 Easysliders 7.75" Skateboard Complete by Plan B. 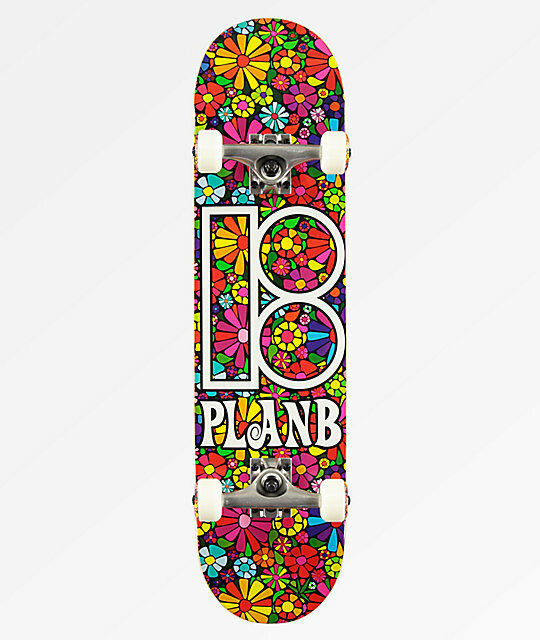 Plan B floral logo text and icon graphic. Slight concave, mellow kick tails.